WILMINGTON — The following report is generated from incident reports provided by the Wilmington Police Department. All those arrested are presumed innocent until possibly found guilty in court. Charges may be dropped or changed in court. • At 3:07 p.m. on April 6, emergency services responded to the park on North South Street for a possible overdose at the park’s gazebo. Upon arrival, authorities observed a 30-year-old male lying on the bench with his head hanging off in “an unnatural manner.” When police got the subject to woken up he was described as “very lethargic and sluggish.” The officer observed to empty pill caps lying on the floor beneath the subject who then slowly sat up but did not communicate. “While speaking with the male another male approached claiming to have been with him,” advised the subject’s name and added “he did not see him take anything but knows he uses drugs.” The friend further advised there was another guy with him before he arrived. The fire department arrived on scene and administered two doses of Narcansal Narcan. The subject became more coherent and was able to state his name. He was assisted to the squad and transported to CMH. • At 10:16 a.m. on April 5, a 40-year-old female reported somebody keyed “the length of the passenger side” of her vehicle sometime between the reporting date and March 27. • At 5:54 p.m. on April 5, police responded to the intersection of South and Truesdell Streets on two-vehicle accident. A driver and passenger — a 54-year-old female and a 58-year-old male — both indicated that they had lower back pain. In the other vehicle, a 23-year-old Clarksville female stated she wasn’t injured. The first car with the male and female were traveling west on Truesdell when the 23-year-old attempted to turn north onto South from Walnut Street, coming eastbound on Truesdell. Life squad was called to assist the two with lower back pain. • At 11:50 p.m. on April 5, a 25-year-old Blanchester male reported his wallet was stolen at the 1100 block of South South Street. 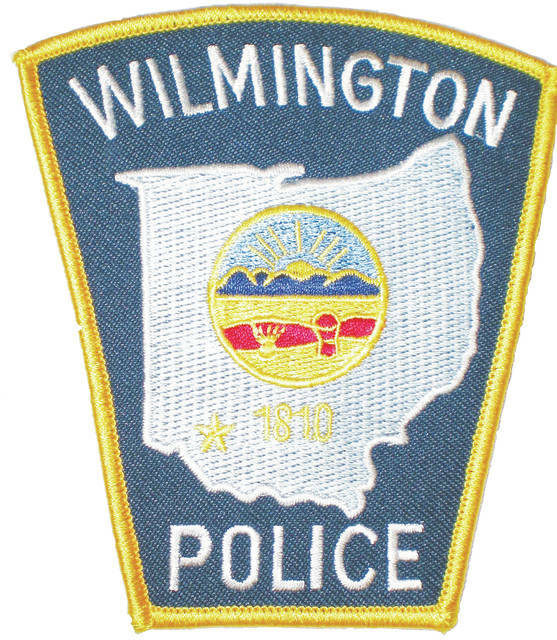 A 49-year-old Wilmington male is listed as a suspect. • Police arrested two male subjects after responding to a fight being reported at a business on Sugartree Street at 2:04 a.m. on April 6. A 22-year-old Port William male was charged with alleged assault and a 32-year-old Wilmington male was charged with alleged disorderly conduct. A 30-year-old male is listed as the victim. • At 8:10 p.m. on April 6, a 37-year-old female reported her license plate was stolen from her vehicle at her residence at the 1200 block of West Main Street. • Police arrested a 33-year-old male for alleged domestic violence after police responded on a welfare check at 11:53 p.m. on April 6 at the 200 block of East Locust Street.